Activist has urged the principal parties to the agreement to spend peace funds on cantonment of forces than purchasing politicians’ cars and hiring hotels for their accommodation. 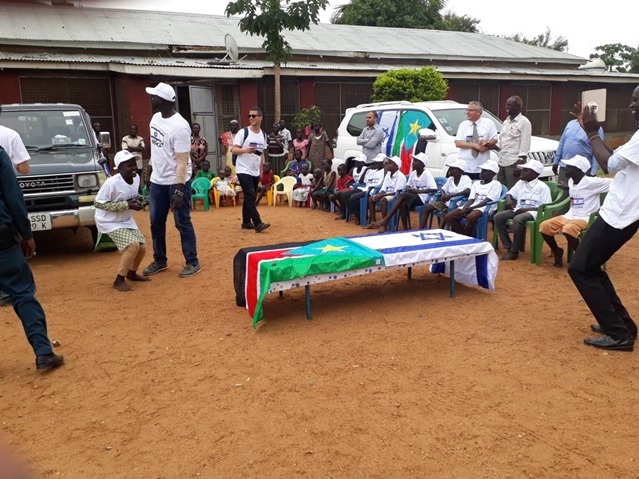 The Coordinator for Network of South Sudanese Civil Society Organizations in Uganda (NoSSCOU) John Pen De’ Ngong was making comment on Saturday, while airing out refugees’ voices after conducting peace campaign in Rhino Camp. Mr. Pen revealed that the presence of forces in the towns was a major threat to the implementation of the deal. He stressed that there is a need to canton the forces as soon as possible since the pre-transitional period was coming to an end. “I want the government and the parties involved to actually prioritize peace. Let them implement the peace deal and we want to see that it is being implemented. It is not about bringing politicians inside, putting them in hotels and spend money on their cars,” said Activist. He stressed that the first thing to be prioritized now for the successful implementation of the revitalized peace agreement is the cantonment of forces and disarming those who possess firearms illegally. Pen said that though the soldiers were still being seen on most of the streets of Juba, he said that peace grants should be injected to cantonment of forces to speed up the peace process. Mr. Pen said that there were a lot of soldiers roaming around the town without being moved to cantonment sites. He stressed that the implementation of the agreement would be difficult if security is not put in place. Though the Revitalized Peace Agreement on the Resolution of the Conflict in Republic of South Sudan (R-ARCISS) was inked last year in Khartoum and later on, it was finalized in Addis Ababa and since then there have been constant reports of violations of the Cessation of Hostilities Agreement. (CoHA).